After spending my first week in Italy in a panic, shedding a few tears with the stress of finding a place to live, I still found myself getting weird looks from people walking down the street because sometimes I just can't help but walking around with a foolish grin on my face cause hey! I live in BOLOGNA now!! Anyways I'll try and keep my posts short cause I know my mother gets annoyed with the amount of detail I put in sometimes, so here we go! Departure from Boston was quick, but not without plenty of worries! Yesterday we noticed the same flight was delayed three hours due to the weather which would have theoretically made me miss my connection at JFK to arrive in Roma at 10:00am. Crazy as we are, we quickly researched all the possibilities in case of bad weather (which was forecasted) and I finished packing my things in case we ha to leave in the morning by car. Driving the 4 hours to JFK to ensure I would make the connection. Another possibility was to get the flight switched to an 8pm flight to heathrow and then get a connection directly to Bologna. So with options in cases of severe weather conditions I enjoyed me last night home. Eating some homemade brownies baked by Mom and watching tv with the usual; Brenna, Katherine and Priscilla. The next day I was able to sleep in, make some cappuccinos and eggs to share with Brenna and Katherine, finish pulling my luggage together, and I was quickly off to the airport without any problems at all. With a slight scare after I heard a flight be cancelled from New York, my flight remained on time and I arrive at JFK without problems and had to walk 200 feet to get to the gate where my flight to Italy would depart from. At the gate I met a student from Siena who had the misfortune of missing her flight to Rome the day before, and after hearing her scarring story I was thrilled that the weather was not holding us back again. Arriving in Rome was easy. My turf. Unfortunately I didn't know I could use my EU passport to walk through the HUGE customs line which was a mistake cause when I waited in the long line with my american passport, the officer just waved me through, didn't even look at my passport, and I didn't react quick enough to DEMAND he stamp my passport... so that was interesting. 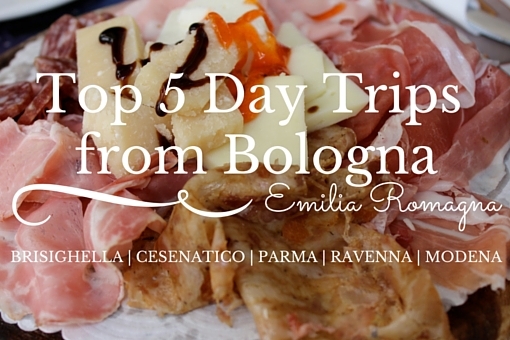 Continuing on to Bologna, we had an interesting time driving into the city to find the Hotel. After a few wrong turns and some scarily tiny roads, we made our way to the end of Strada Maggiore where Hotel Pedrini was waiting for us. We were able to park right behind the hotel and we promptly brought our things in, examined the room and its fresco-ed ceiling, then began walking to the 3 apartment appointments I had set up in the car. These three houses were a good foundation for the first day, and we quickly put into perspective where all the areas of the city were in relation to where my classes would be. Thursday went by, and Friday arrived quickly, proving I had a few options of houses to explore. What was hard was deciding exactly what I wanted in the home in terms of location, number of roommates and type of roommates. After giving an answer to one place, they quickly told me it had been rented by someone else after I had seen it... this happened with a number of places I had already picked out prior to landing, so Toni and I resorted to looking at fliers posted and we quickly realized places were going FAST! Debating whether we should stay in Bologna till we found a place, we still had two decent options. Two apartments, one with 6 other Italian girls and one with 5 Spanish boys. Both landlords were nice and they had single rooms available. My only hesitations were the location (20 minutes walking from school!) and living with that many people. So with that I told Toni we had to go back to Muto because all I really wanted to do was see my Nonno and Nonna an spend a day or two with them. I'd be fine coming back on my own to search again. So as Bernard and Toni from down the road said when I told them I drove from Florence to Muto... I've got ballss to do that! We arrived much quicker than if Toni was arriving and I was warmly embraced by the Muto crew. Nonno, Nonna and Maria were all waiting and ready to feed us once we got inside. We spent time talking then before 9 I was directed to go to bed by Nonna. Ha! I actually didn't mind, I was beat. Sunday morning I had no chance to sleep in. Toni woke me to meet with the architect who was hired to fix Nonna's childhood home upon the hill behind our house at Muto. I was put to work early as we climbed the hill marking the path through the woods where we could bring a water line trying to figure out where it could go without passing through Nonnas cousins land or anyone else's. Goodness gracious. Long morning. We spent a few hours up at Zeppone making the right lay out for the house to maximize the space we had to use: a few random rooms here and there, cause that's how the house had been split between her and her cousin. By noon we had resolved things and we trekked back down the wooded mountain to find lunch being prepared. As usual, lunch was delicious. It consisted of fettuccine with a mushroom and pancetta sauce, beans, salad and sausage to keep me full and sleepy for hours. Lucky for me right when I tried to nap, Toni woke me up and insisted we climb the hill again to find and mark the correct path. This was not the relaxing two days at Muto I had expected. That evening I went to a comedian in Broccoatella with Ilario and his friends. I didn't manage to understand much but it was still fun. At the end of the evening we went to the new McDonalds in Sora and they had their pick of sandwiches and milkshakes off the euro menu. I stayed strong and resisted the Micky Ds. Brava! Monday we Toni and I went to do our business in Sora. Trying to figure out our bank accounts. Getting Internet organized and doing whatever other errands we required before our departure. We ate well both at lunch and dinner and we cleaned and prepared to close the house as I remained frantic about having no place to live but Hotel Pedrini upon my return to Bologna. Nonno and Nonna had visitors late Monday night as they were trying to pack up. Maria stayed and helped us get organized trying to soak up as much time as she could with the two before they left. Tuesday we woke up promptly at 5:00. Had our cappuccinos and stuffed all 8 bags into the tiny FIAT Punto. Nonno showed me how to turn off the lights, water, gas etc and Maria came down to see us off and chain the driveway upon our departure. It was a sad moment leaving Maria waving with tears in her eyes and we were off to Fiumicino, myself as the driver. At the airport I couldn't help but cry as Nonna and Nonno hugged me, years filling their eyes and they were wheeled off through security by the Alitalia helpers. I went to find Toni after she dropped off the rental car and then she walked me to catch the train to Termini where I'd be off on my own. Once again the water works came, I was secretly hoping they would all stay a few more weeks, but three months was enough for them and they were states bound. I, on the other hand was on my way to Bologna... Alone... But not completely, luckily with the lunch box cooler that Nonna had prepared for me with a frittata sandwich, peaches, a block of cheese and packages of sausages. I was at least sure I wouldn't be going hungry anytime soon! +Nice report, Lia. Uncle John picked up the Nonni at Logan. He could barely lift their suitcases. When he asked what the heck was in there, they said "No clothes, just macaroni and cheese"
Sure enough, wheels and wheels of cheese and kilos of pasta. no clothes. yes, love the update. I can read what you write forever so don't spare words on my account. I know it's not original but how about changing the name of the blog to Full of Bologna. Can't wait to hear about the apartment, and the landlord who lives 'dirimpetto'?? this is word I learned this summer from Maria. I am waiting for another entry.